German label co-founded in 1977 by Volker Kriegel with the help of TV-producer Werner Schretzmeier and Wolfgang Dauner to promote and distribute the new sound of jazz-rock. Their first release The United Jazz+Rock Ensemble - Live Im Schützenhaus became the best selling German jazz record of all times. 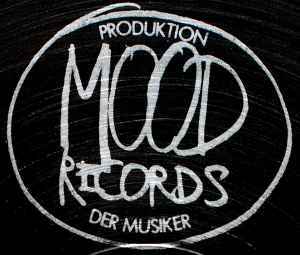 Originally promoted and distributed exclusively by the fashionable "Zweitausendeins" chain of book and record mailorder stores via their 1,2 million catalogue subscribers, the Mood Records label soon became a highly acclaimed brand for experimental sounds and quality musicianship. Operations of the label / company have ceased and the company was deleted from the commercial register on 09 May 2016.